Mindy Mackenzie has walked the walk: as the Chief Performance Officer of Beam, she oversaw the company’s $16-billion acquisition by Japan’s Suntory Holdings in 2014. Widely regarded as the “Velvet Hammer,” Mindy was known for being a highly effective executive, but one who led her team with compassion and empathy. Now, as a coveted executive advisor and the bestselling author of The Courage Solution, Mindy joined IVY for a discussion on courageous leadership. Among other questions, Mindy addresses why some managers are more effective than others; the right way to approach conflict in the workplace; how to strike the balance between being feared and being liked; and how to create lasting, world-changing businesses. 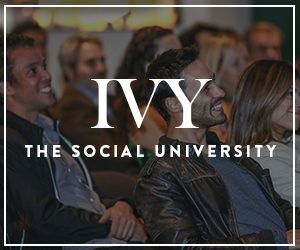 This IVY Ideas Night is presented by smartwater®. Copyright © 2018. IVY Media.